Dwolla, a Des Moines-based digital payment platform, is expanding its second Monetery summit to two days this May, the company announced on Wednesday. The 2019 summit will be held May 21-22 at the Temple for Performing Arts. Last year’s event was limited to 200 attendees, and this year’s will be similarly exclusive, said Steph Atkin, Vice President of Marketing. 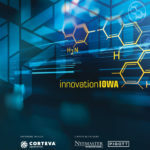 The 2018 event raised more than $10,000 for Des Moines nonprofit Pi515; Dwolla said the 2019 event will also raise funding for tech nonprofit groups. Registration will open in early 2019 at monetery.com.